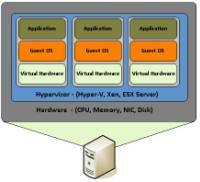 In computing, virtualization is simulating a hardware platform, operating system (OS), storage device, or network resources. The term “virtualization” traces its roots to 1960s mainframes, during which it was a method of logically dividing the mainframes’ resources for different applications. Since then, the meaning of the term has evolved to the aforementioned.